Screen Media Expo is United Kingdom's leading trade fair for Media & Advertising Industry organized by Screen Events Ltd.
Screen Media Expo has demonstrated consistent growth year after year and has solidified itself as the industry's biggest digital signage and DOOH (Digital Out Of Home) media event in Europe. It showcases the very best in innovative digital media used for delivering visual messages that combine the influence of mass advertising with the accuracy of niche marketing. Screen Media Expo 2010 also known as Screen Media Expo Europe, will be held in London, United Kingdom on MAY 5th – 6th at the Earls Court Exhibition Centre. In 2010 the Expo moves up a gear to offer a completely different free learning program approach and a wider range of associated paid for show-floor conferences and workshops. At the top of the tree stay the two Expos – Screen Media Expo and DOOH Expo – and branching from each of these are three education channels running on both days. These channels cover Screen Science, Screen Feed, Futurology, The Smallest Screen and The Green Standard. Futurology looks to the imminent future and explores in detail what technologies, methods and approaches are likely to shape the development of digital signage and digital out of home networks in the next three years. From interactive gestural signage to user generated content and augmented reality, OLED screens to 3D, the challenge will be to identify those emerging products, services and solutions that will have an appreciable impact on the digital signage and digital out of home marketplace. This channel will ask to what extent these advancements are likely to offer measurable value to network owners, end users and consumers. Whilst this strand will provide insight into these emerging technologies and methods, it will also challenge the value they provide from a marketing and commercial perspective. There are various individual conferences attached to the Expo. In addition to the learning program, running on Day 2 within DOOH Expo, Media Week will host its second DOOH Media Summit. The Digital Signage Strategies Forum, produced by Strategy Institute, will also be held alongside Screen Media Expo on 4 and 5 May. The Screen Forum will be launching its ‘Green Screen’ program at a special breakfast briefing held on Day 1. Steven Platt of the Platt Retail Institute will be running a paid for workshop on the use and application of Digital Signage in Banking on the afternoon of Day 1. Furthermore, a new paid for workshop will be held on the morning of Day 2 entitled “Building the Next Generation Digital Signage Network for Retail. With a high share of European digital revenues, the UK is by far the largest and most developed digital signage market, followed by Germany. The event is “Digital signage & Digital out of home media” nothing else. This gives it a unique and total focus on the industry and enables target marketing to target audiences. Here is the latest press release. 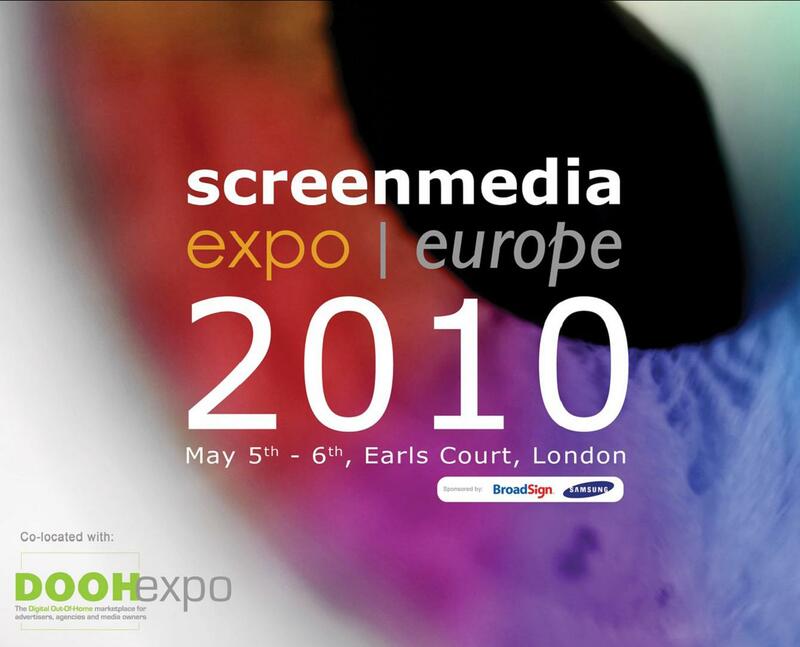 London, UK, 13 April 2010 - Screen Media Expo Europe 2010, incorporating the exclusive DOOH Expo, is on track for its biggest and best year yet. Returning for its 5th anniversary year (5-6 May, Earls Court, London), the expo stands unique in its industry profile as it seeks to deliver more visitors from end user communities than other European events. Visitor pre-registration is half way to the projected attendance figure of 5,000 and exhibitors are steadily climbing up to the 130 target. The 2010 event has attracted first timers such as Intel while themes including mobile integration and 3D arrive new to the show. The learning program has been innovatively devised attracting high caliber presenters and more companies are thinking out of the box to get themselves seen and heard. 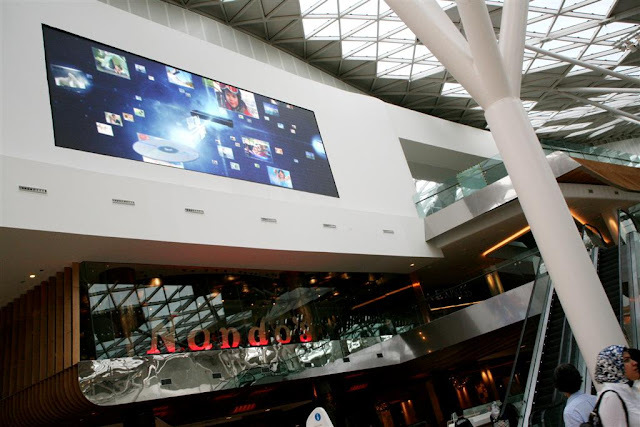 The Screen Forum's novel idea for Screen Media Expo 2010 is a digital bus tour from Earls Court to London's premier digital media mall showcase, Westfield Shopping Centre. 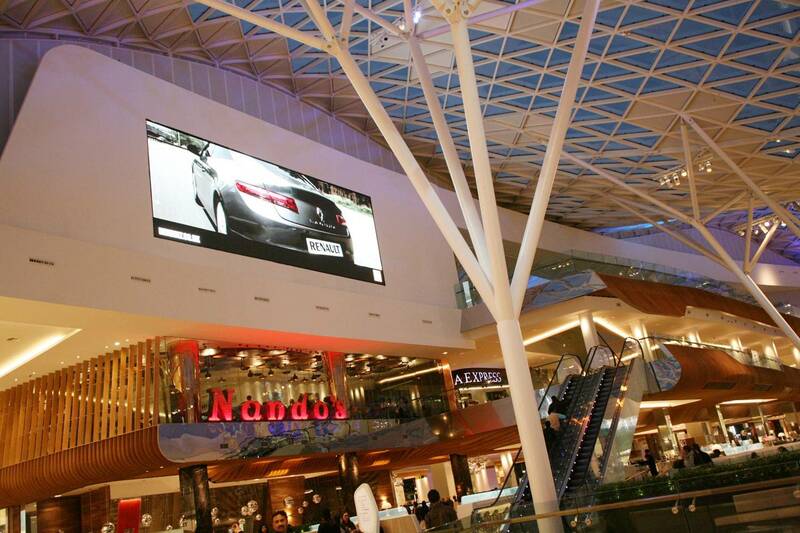 Westfield houses a vast internal screen network installed and managed by CBS Outdoor and a unique iconic external system operated by Ocean Outdoor. Aptly named "On the buses" the bus will leave at 2pm on 5th May taking 'Route 100: All Stops to Westfield'. Passengers will receive a one hour guided tour of the site, accompanied by the key individuals behind the implementation. The trip will serve to explain how the technical decisions were made, how the suppliers were identified, how the installation was achieved and the lessons learnt. Litelogic, BroadSign, Digital View, True Colours and Magenta Research are sponsors of the event. In addition, on the evening of 5th May, The Screen Forum will be hosting 'The Green Party' - Screen Forum Members and Expo Exhibitor's Drinks Reception - to launch the 'Green Screen' initiative. The initiative aims to produce a set of sustainable guidelines for companies operating in the digital signage sector. At the event there will be a short introduction from the key companies supporting the initiative, including Harris, NEC, True Colours, Magenta Research and Digital View. Organized by Screen Events Ltd, Screen Media Expo Europe showcases the very best in innovative digital media used for delivering visual messages that combine the influence of mass advertising with the accuracy of niche marketing. 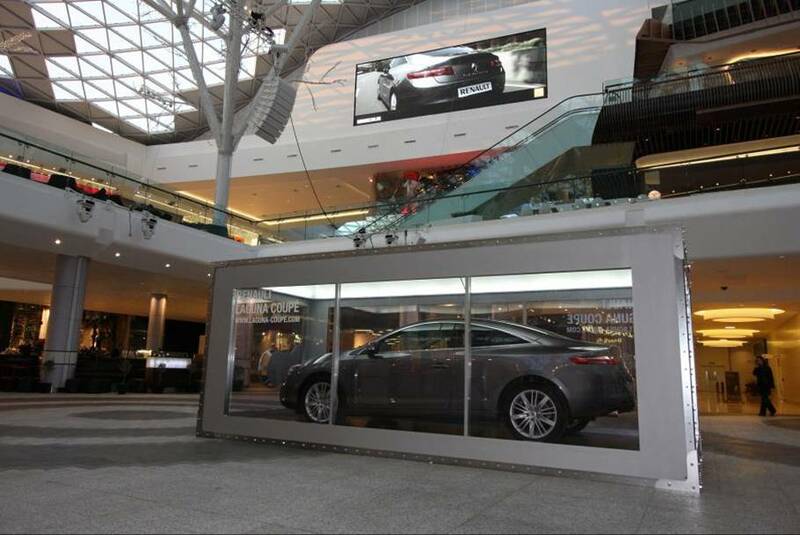 Launched in 2006, it attracts an audience of supplier and user communities in the digital signage and media networks Out-of-home sector. The 2010 show will take place at London's Earls Court, 5-6 May, and will host DOOH Expo for the first time, a dedicated show-within-a-show for stakeholders in the DOOH and advertising communities. Digital out-of-home has moved in from the margins to the mainstream of today's media. Screens are now commonplace wherever the consumer goes – on the roadside, in the train, by the baby food, at the pub. And with repeatedly demonstrated ROI for advertised and promoted brands, the medium increasingly attracts the attention of advertisers and their agencies. Just a few years ago, it was cause for excited comment in the sector when a big-name brand committed to a digital out-of-home buy – today, it raises barely an eyebrow. That's why Screen Media Expo, the European and international event for the medium's entire value chain, in 2010 for the first time hosts DOOH Expo – a dedicated show-within-a-show for the digital out-of-home media community. No technologists here; just a place to do business. DOOH Expo has been created to bring advertising, marketing and communications professionals rapidly up to speed with the state of the art and the key players in digital out-of-home.